Being outnumbered ten to one generally doesn't make for a good day, but powered armor sure can take the edge off...see for yourself in CHAOS QUARTER: IMPERIAL AMBITIONS. A power-hungry superpower, a band of feared mercenaries, and a woman who can enslave your mind with synthetic pheromones, all coming for the motley crew of Longshot. But it's all part of the job when you work in the Chaos Quarter. 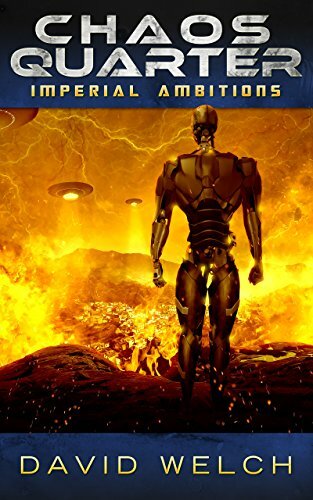 CHAOS QUARTER: IMPERIAL AMBITIONS, available on Amazon.